Japan’s one of the most wired countries in the world, with an eyewatering 92 percent of its citizens connected to the web. Internet censorship and government surveillance aren’t considered to be massive problems just yet, but circumstances and societal attitudes are slowly shifting. ExpressVPN Our #1 choice for Japan. Impressively fast servers are able to unblock most geo-restricted content with ease. Leads the way with security and privacy features. Includes 30-day money back guarantee. NordVPN Great low-cost provider, unblocks most streaming content at good speeds with no compromises on security and privacy. CyberGhost Good budget all-rounder, user-friendly with strong security and decent streaming speeds. IPVanish Torrent-friendly VPN with good speeds and strong security. A favorite among Kodi users. VyprVPN Strong security, easy to use, and unblocks US Netflix. Impressive but pricey. VPN services are popular in the country, both for local residents as well as the two million tourists that arrive in the country each month. Short for Virtual Private Network, a VPN is a handy piece of software that circumvents barriers on restricted content as well as maintaining your privacy and anonymity by encrypting all the internet traffic to and from your device. It does so by routing the traffic via an intermediary server in a location of the user’s choosing. ExpressVPN ranks highly on our list of the top VPN services for its reliable speed and a user-first approach. There’s a clean, simple, and minimalist design and connection to the 1500+ servers spread across 94 countries is quick and efficient. There are servers located in Japan – ideal for residents of the country traveling abroad – but the company doesn’t specify how many exactly. It doesn’t store any traffic logs but does retain metadata about the date (not time) of connection, choice of server location, and total bandwidth used. This isn’t an issue because your individual IP address is not stored. For users who are still feeling skittish – you can sign up anonymously by using a burner email account and paying via bitcoin – so none of the activity will ever be traced back to you. Encryption protocols are a robust 256-bit AES-CBC with utilization of both HMAC authentication and perfect forward secrecy. An internet kill switch temporarily halts all web traffic if the connection drops unexpectedly. Hence, you’re getting what you pay for when it comes to ease of access and privacy and security standards. ExpressVPN is one of the few VPN services out there that unlocks geo-restricted content on Netflix with ease. It’s also compatible with Hulu and BBC iPlayer as well as supporting torrents. BEST VPN FOR JAPAN:ExpressVPN is our Top Choice. It has a vast server network that is optimized for high-speed connections. User-friendly apps for all operating systems. Hard to beat on privacy and security and works great in Japan. Great for streaming both Japanese and international content from anywhere. There is a 30-day money-back guarantee so you can try it risk-free. NordVPN has a true zero-logs policy as it holds no data about user sessions, traffic, or timestamps. Authorities have tried clamping down on it in the past by sending multiple requests for information but the policy made it impossible to comply. Nord’s servers were also confiscated in one instance, but there was no incriminating data stored hence thwarting attempts. The company operates 5401 servers in 60 countries making it a sturdy choice for an entire range of web activity. Seven of these are located in Japan itself. Hence finding a suitable connection shouldn’t be an issue. There are also servers optimized for anti-DDoS, video streaming, double VPN, Tor over VPN, and dedicated IP – ideal for video streaming, strong encryption, and stringent privacy. It’s also able to circumvent the Netflix VPN ban with ease, as well as unlocking content from Hulu and BBC iPlayer. It supports torrenting. NordVPN servers encrypts internet traffic via the 256-bit AES protocol by default and uses 2,048-bit SSL keys. DNS leak protection is enabled. A single subscription grants access to six devices, with support for Windows, MacOS, iOS, and Android. BEST BUDGET VPN:NordVPN is a good value choice. With a large range of servers including a few in Japan, this is a good all-rounder option that unblocks Netflix and most other streaming services. Great privacy and security credentials. 30-day money back guarantee. CyberGhost, which is based in Romania, insists it doesn’t store any user logs or data but its recent acquisition by a UK-registered firm means we’ll have to wait and see if that affects the policy. The company does, however, maintain that it’ll still be subjected to Romanian laws which don’t impose data retention of any kind. There are over 3000 servers spread across the world including 32 in Japan so accessing local content shouldn’t be an issue. Apps are available for both Android and iOS as well as desktop support for Windows and MacOS. CyberGhost uses 256-bit AES encryption on the OpenVPN protocol by default along with 2,048-bit RSA keys and MD5 HMAC authentication. There’s also an internet kill switch included which means web traffic will be halted if the connection drops unexpectedly. BEGINNERS' CHOICE:CyberGhost has a simple set up. Works well in Japan. Good option if you are looking for a fast, reliable connection and an easy-to-use interface. Can struggle with unblocking some popular streaming sites. 45-day money back guarantee. The only time IPVanish stores any user details is when an account is registered for the first time. After that, all browsing sessions and choice of servers are kept hidden. It uses 246-bit encryption on the OpenVPN protocol by default, SHA512 authentication, and a DHE-RSA 2,048 key exchange with perfect forward secrecy. There’s an internet kill switch included which means the company will temporarily block all traffic to and from your device if the connection drops unexpectedly. Servers are optimized for speed and security – there’s over 1200 of them spread across 60 countries, including six in Japan. IPVanish isn’t capable of unblocking geo-restricted content on Netflix and Hulu, but does come highly recommended for BBC iPlayer. There are apps for both iOS and Android as well as desktop support for Windows and MacOS. IPVanish also permits torrenting on all its servers, which is an ideal choice for Japan given the extremely harsh torrenting laws in place (more on that at the bottom of this article). Its fast speed and minimal downtime means IPVanish works fantastically well with Kodi too. UP TO 10 DEVICES:IPVanish has a large network of servers and handles multiple connections well. Easy to use and prefered by users who need high standards of privacy. Can’t unblock as many streaming services as some of its rivals. 7-day money-back guarantee. At the same time, it insists that the data is retained for only 30 days and is used for purposes such as billing and troubleshooting. The company adds that it does not log traffic details or content of any communications. Despite these slight concerns, VyprVPN is actually quite robust when it comes to evading restrictions on content – it’s one of the few VPN services that circumvent China’s Great Firewall with ease. The company owns and manages entire data centers, which means there’s focus on speed and stability of the connection. Traffic is secured by the OpenVPN protocol, 256-bit AES encryption, 2,048-bit RSA keys without perfect forward secrecy, and SHA256 authentication. There’s an internet kill switch included which means your connection will remain secure even if it drops unexpectedly. There are over 700 servers, including a wide choice in Japan and the rest of Asia. Apps are available for both Android and iOS as well as desktop support for Windows and MacOS. The company doesn’t permit torrenting and has terminated accounts in the past for attempting to do so. It does, however, unlock content on Netflix, Hulu, and BBC iPlayer. It’s definitely possible to avoid paying for a VPN and opt for a free version. Such services are heavily advertised on the internet, so a bit of digging around on Google, Bing, or DuckDuckGo will do the trick. But there’s a catch. Free VPN options come with major limitations on things like server locations, encryption standards, speed and stability, and bandwidth caps. You’re not paying to use them, so don’t expect world-class service. At the same time, such companies have to make money too to pay for server space, technical teams, and general expenses. They do so by aggressively tracking your browsing history, inserting cookies, and attempting to sell your data to third-party advertisers. It’s likely that there will also be tons of invasive advertisements and pesky popup windows. Malware’s lurking around too, adding to the potential list of problems. It is a good reminder of the fact that when the product is free, you usually end up being the product. Is torrenting legal in Japan? Japan has some of the harshest anti-torrenting laws in the world, with penalties on violators an extremely stiff 10 million yen in fines and a two-year prison sentence. Forums on Reddit and Quora suggest that downloading torrents won’t land you in a legal quagmire, but you definitely run the risk of arrest if caught uploading/seeding such files. 27 people were arrested in 2013, after being caught uploading manga, video games, anime, and music videos without the explicit permission of copyright holders. If your explicit aim while browsing the web in Japan is to download torrents, we suggest you read through our guide of the best VPNs for P2P filesharing. What’s the future of Japanese internet? 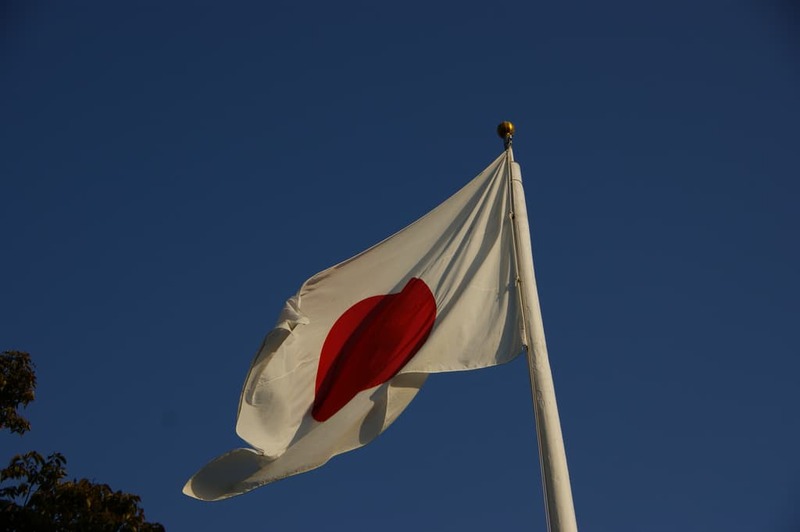 Japan’s internet is ranked by Freedom House as “free” with the advocacy body noting that currently there’s no restrictions on social media apps, access to content, or clampdowns on popular bloggers. This is strengthened by Japan’s constitution which protects all forms of speech and prohibits censorship. But national security concerns may cause a rethink at the federal level. In 2013, lawmakers in Japan passed the “Act on the Protection of Specially Designated Secrets”. The statutes ensconced in the act criminalize leaking and publishing national secrets regardless of intent or content. Freedom House notes that this has potential ramifications for journalists, whistleblowers, and civil society watchdogs. The United Nations Human Rights Committee agrees that the legislation is vague and broad when it comes to defining the exact limitations of secretive matters. Individuals caught violating these parameters will be subject to high criminal penalties and lead to self-censorship by journalists and human rights defenders. Related: A beginner’s guide to online censorship. The laws came about after a recommendation by Japan’s communication ministry to start regulating cyberspace. The guidelines sought to rein in influential news sites, subjecting them to the same kind of regulations that bind physical newspapers and broadcast television channels. The report, titled “Final Report on a Comprehensive Legal System for Communications and Broadcasting” stated that “there is a need for an active effort from the government…as it is difficult for ISPs to individually make judgements regarding concrete harmfulness”. Augmenting the atmosphere of fear is Prime Minister Abe’s crackdown on media freedoms in the East Asian country. In 2016, Foreign Policy reported on the Japanese government’s forceful takedown of popular voices. Three outspoken television anchors were mysteriously removed from their jobs, with the general perception that the dismissals were orchestrated by the government, although there is no independent method of verifying this claim. The country’s largest liberal newspaper, Asahi Shimbun, was also forced to be subdued. Such developments compelled the UN to carry out a fact-finding mission in the country during which it met with journalists, educators, and government officials. At the end of the mission, the global body declared that the “independence of press in Japan is facing serious threats”. “Across a range of areas, I learned of deep and genuine concern that trends are moving sharply and alarmingly in the wrong direction. This is especially acute in the context of media independence,” added David Kaye, UN’s special rapporteur. Related: 11 privacy steps every journalist should take to protect themselves and their sources. The day after the report, Japan’s ranking in press freedom by Paris-based Reporters Without Borders slid 11 places to 72 out of 180 countries surveyed. Foreign Policy added that Japan’s spy agency, the Cabinet Intelligence and Research Office, spied on this particular UN mission by tracking the movements of a local lawyer that provided assistance to the fact-finding team. These are troubling developments for a country that has prided itself as the largest democracy in the region and may provide a snapshot for what lies ahead. Having said that, it’s important to state that there haven’t yet been any official arrests of media personnel under this new legislation. There is, however, a maximum penalty of a ten-year imprisonment for those found guilty of revealing state secrets.